Tired of aimlessly wandering the internet for educational resources for your students and not finding anything that would work. It’s not on grade level, it’s too expensive or it’s just plain boring. Perhaps you even tried to create your own printables but got bogged down with all of the technical stuff, what is the best program to use, where do I get cute clip art and what do I need to know about commercial use and copyright laws? Then you gave up after your head started spinning. Maybe you got adventurous and tried making your own printables. You may have opened up Word and tried to create a printable yourself. Then you got all frustrated with the layout as you tried to add images. Or you tried another program, had it take all day and it looks as though your toddler threw up all over it. You want to create printables that will get your kids excited about learning and get them engaged in the material in a fun and hands-on way. 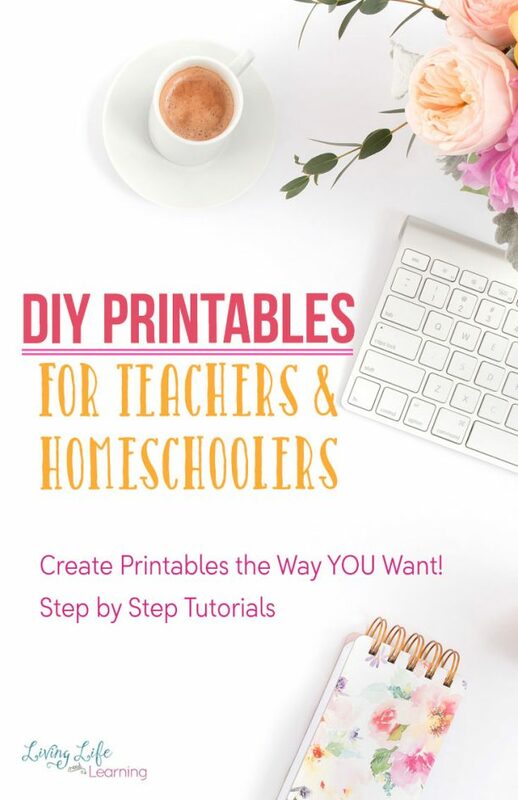 I’ve admired the beautiful and creative printables that Monique makes and wished I could do that in my own homeschool. Now I can with her awesome ecourse! She walks us through the process of designing and customizing them to be just what we need. It’s a great resource for homeschool moms who need something practical and affordable with a dash of creative fun!